In light of recent inquiries about camera control compatibility, and due to a large number of camera brands and models involved, we are focusing our R&D resources on continuous optimization with the Ronin-S. Compatibility will be updated through firmware. 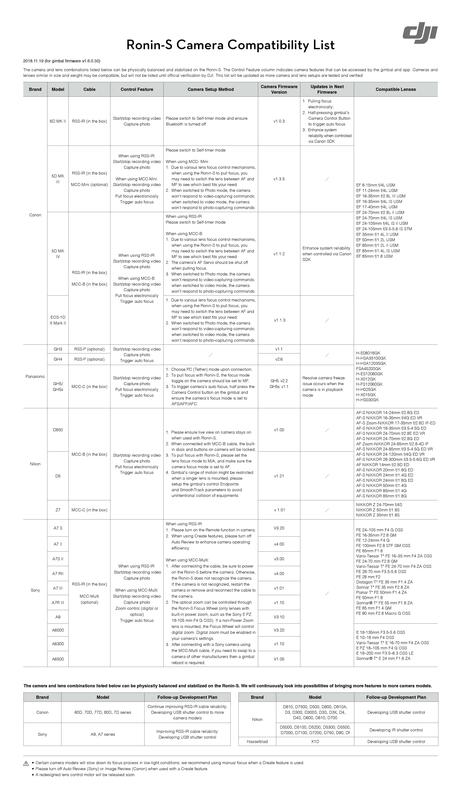 The following table shows camera and lens models officially supported with the Ronin-S. This table will be continuously updated. Question: is it possible to remove physically the focus wheel? Yes it is, the tools are in the case you got with the ronin. The tools ? you mean the attachment, but not the software control... no? The little black case has the tools to physically remove the focus wheel. What else did you want to remove physically? Ok I got my answer, Thanks You ! HAHAHA ! No imcomig updates for Sony and Nikon ! And now guys you still trust DJI ? im not ! Don&apos;t buy anything from shiDJI ! They are just can promising ! Go for crane lab 3 ! I see the Nikon Z7 for Nikon was added, when will the Nikon Z6 be added that was released a few months after the Z7? Yes you can remove the focus wheel and install a plate that is included in the box. 2018 - Official Post; the focus wheel will never be compatible on Sony camera&apos;s. Just demount it and throw it in the bin. What Sony camera are you using cuz I can start/stop videos take pictures and control zoom using the focus wheel I can also focus by pressing down half way on the record button. I use the Sony A6300, you need to buy this cable it’s a little expensive costs £30.65 including sipping in the uk. please add the blackmagic pocket 4k !!!! A7S II , i was just joking about the focus compatibility. It is just taking way to long. Also do you think the cable is required if the focus function comes out ? If so, i might order it then. 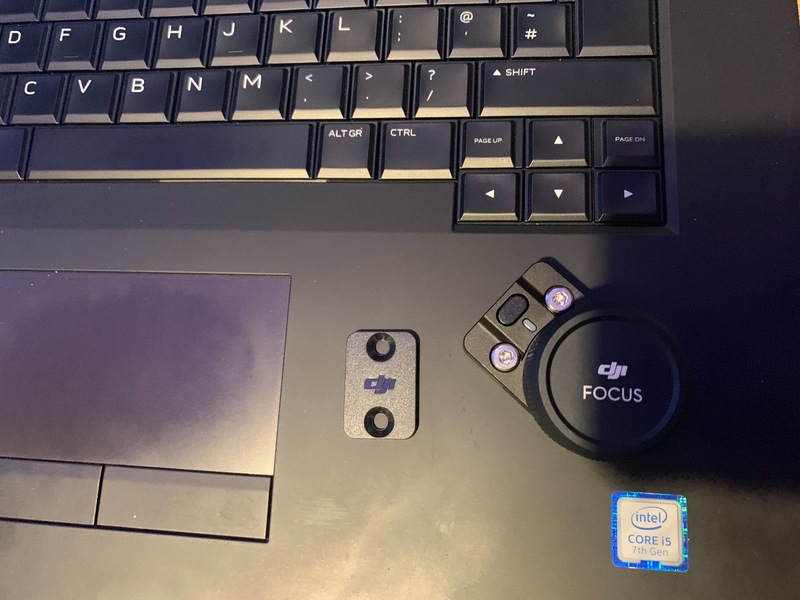 I believe if you buy the focus motor you will need the cable to control focus and zoom, I cant test it with the focus motor as I can&apos;t order the focus motor yet as it&apos;s sold out. I wish there was focus wheel compatibility for the Canon 7D series!